One of my favourite fungi is Ileodictyon cibarium, the basket fungus, native to Australia, New Zealand and Chile. We have been treated this year to an amazing display of these fungi in our recently wood-chipped pond garden. Usually we don’t notice them until the fruiting bodies are fully formed, but because there are so many this year, we’ve been able to watch their whole emergence, from egg-like volva to lacy soccer ball. Aside from their striking look, there’s nothing particularly lovely about these fungi. The basket fungus is in the family Phallaceae, also known as the stinkhorn fungi. Members of this family—you guessed it—have a foul odour (and many are phallus-shaped). The carrion or dung-smelling fruiting bodies attract flies to disperse the spores. 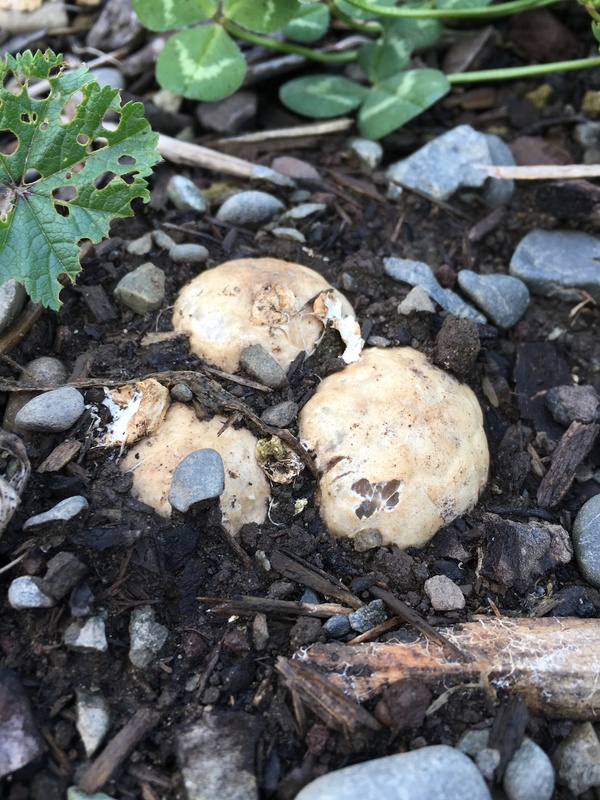 Supposedly, the young fruiting bodies are edible … but not very tasty, as you can imagine. 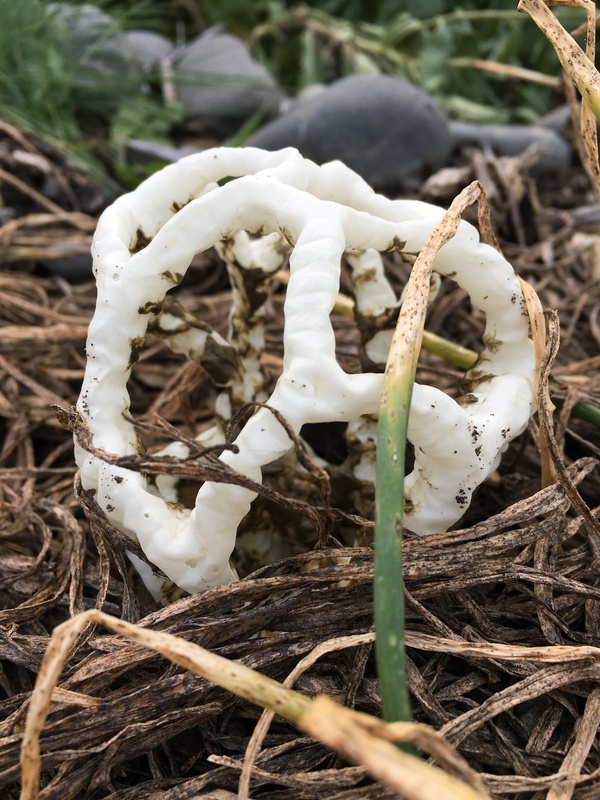 In spite of their smell, basket fungi have a certain celebrity status, owing to their remarkable structure. In fact, in Hagley Park in Christchurch there used to be a play structure in the shape of a giant basket fungus. I’m not sure if it’s still there—my kids don’t frequent playgrounds anymore—but it was always a favourite with my kids.